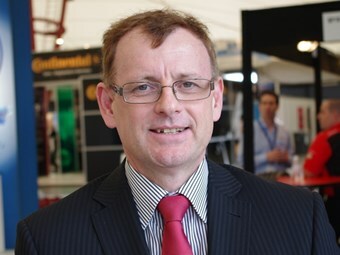 National Heavy Vehicle Regulator (NHVR) Board has appointed Hancock, ahead of the regulator’s start on January 2013. Hancock was previously the NHVR project office project director. "Working with the jurisdictions and industry stakeholders, Richard has had a leading role in the establishment of the NHVR," NHVR Board Chair Bruce Baird says. "He brings substantial knowledge and experience, and a focus on the importance of strong partnerships." Based in Brisbane, the NHVR is intended to be a one-stop-shop for all heavy vehicle businesses in Australia, minimising the compliance burden on industry, improving safety, and reducing duplication and inconsistencies across state and territory borders. From January 21, 2013, the NHVR will offer National Heavy Vehicle Accreditation Scheme (NHVAS) and Performance Based Standards (PBS) services on a national basis, together with a new national NHVR call centre and website. "Our first board meeting was a significant milestone and we express our appreciation for the considerable work that has been undertaken to date by the NHVR Project Office, as well as the state and territory jurisdictions, and industry," Baird says. "We recognise that there is still much work to be done." Baird says the passage of the Heavy Vehicle National Law (HVNL) Amendment Bill, introduced to the Queensland Parliament on November 13, was the next critical step for full national operations of the regulator by July 2013. "Once the HVNL is passed in Queensland and subsequently applied by the other states and territories, the NHVR will deliver a comprehensive range of heavy vehicle services under one rule book," he says. "We will aim to achieve this by July 2013." Following the board’s inaugural meeting early this month, Baird briefed the Ministerial Standing Committee on Transport and Infrastructure (SCOTI) on preparations for the NHVR’s start on January 21, 2013. All states and territories have committed to providing the funding required for the regulator’s first six months of operation. For more information about the rollout of the NHVR, including Board member profiles, visit www.nhvr.com.au.